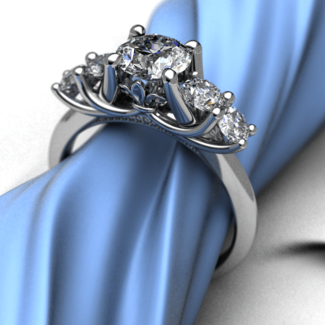 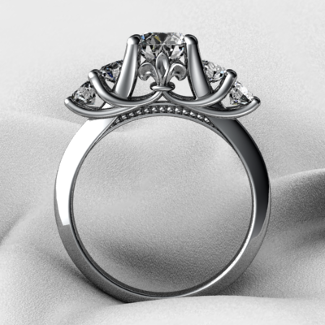 The Fleur de Lis 5 Stone Ring is offered in 14K White Gold. 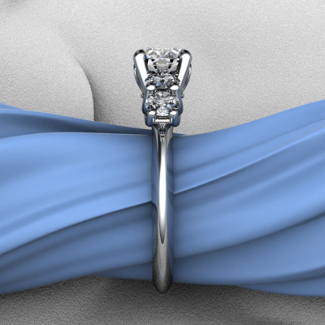 It has four smaller side stones and the ring can hold any of our Diamonds. 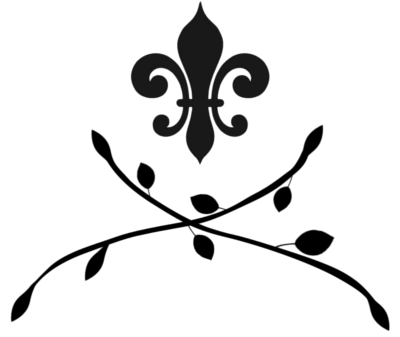 It features two Fleur de Lis, one on each side, and has a millgrain bridge underneath the center Diamond. 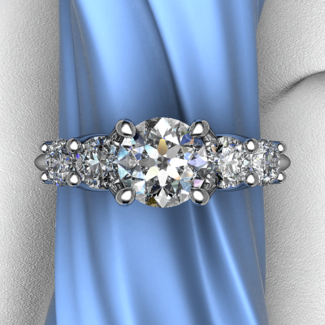 Images show 1.00ct Diamond Center set into the ring.